Mortgages are complex financial instruments, so homebuyers need to do their homework when trying to select the right home loan for their unique situation. Are you weighing the pros and cons of various VA loan programs in preparation for a home purchase? Discovering these things you may not know about VA loans might help you make an informed decision. If you’re at all familiar with VA loans, you probably know that these home loans can be an attractive option. 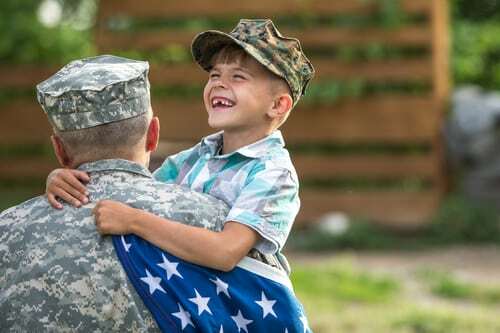 Backed by the U.S. Department of Veterans Affairs, they offer eligible borrowers the opportunity to secure a mortgage with excellent terms and no requirements for a down payment or private mortgage insurance. However, there are things you may not know about VA loans that might make this form of financing an even more appealing choice. Although these loans are offered through a program overseen by the VA and available to a limited pool of borrowers, that pool includes more than just veterans. While specific requirements must be met, the list of potentially eligible borrowers also includes surviving spouse of veterans, active-duty service persons, members of the National Guard, and reservists. In addition, officers at the National Oceanic & Atmospheric Administration, midshipmen at the U.S. Naval Academy, and cadets at the U.S. Military, Air Force, and Coast Guard Academies may also qualify. The entitlement that allows someone to apply for a VA loan has no expiration date. While personnel leaving active duty will need a new determination of their eligibility, use of the home loan entitlement does not have a time limit. The home loan benefit isn’t limited to first-time homebuyers or a single use. In fact, veterans who have used their entitlement to purchase a home can have their entitlement restored as many times as they wish if they have since disposed of the property and repaid the loan in full. The people eligible for a VA loan come from different backgrounds, have varying income levels, are at different stages in their lives, and have different plans and dreams. With so many varied needs, a cookie-cutter approach would be ineffective. Fortunately, there are various forms of VA loans. Borrowers seeking a VA loan will find options with fixed or adjustable rates, varied loan terms, and different purposes and requirements. There are many things you may not know about VA loans related to these less known potentialities. There’s more than one kind of home loan entitlement. While current and former service members eligible for VA loans start with $36,000 in basic entitlement, there is also a second-tier entitlement, sometimes called a bonus entitlement, that provides them with increased purchasing power. In most cases, VA-backed mortgages can be for up to four times the amount of the borrower’s available entitlement. When a borrower is seeking a loan greater than $144,000, which is four times the amount of the basic entitlement, or wants to secure a second VA loan, this second-tier entitlement comes into play. Using a VA loan generally requires paying a funding fee that is based on factors like the loan’s type and size and the borrower’s service. However, borrowers do not have to pay the funding fee at closing; it can be financed into the loan. In fact, some borrowers may be exempt from the funding fee, including surviving spouses of veterans who died in service or of a service-related injury or veterans who qualify for VA disability compensation. VA loans come with several features that safeguard the homebuyer’s interests. There are limits on closing costs, and lenders are not allowed to charge borrowers penalty fees for paying the loan off early. In addition, any property purchased with a VA loan must meet certain minimum requirements. This helps ensure that the property being purchased is sound and will offer a safe environment for its occupants. Life is full of surprises, and not all of them are positive. Even the most careful, responsible person can run into financial difficulties. For people with VA loans who are struggling to make their mortgage payments due to temporary financial difficulties, assistance is available from the VA that may help them retain their property. There are many things you may not know about VA loans. 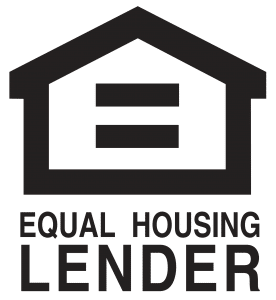 If you would like to learn more, talk with a professional who understands all the ins and outs of this form of financing. Contact PrimeLending: Manhattan, Kansas today to arrange a consultation. Every year, we help thousands of veterans and active-duty members of the military buy or refinance their homes through the VA home loan program. With our assistance, you can take advantage of the many benefits of a VA loan while saving money due to our lack of lender fees. We offer 100% financing with competitive interest rates – no down payment or PMI required! To learn more, please give us a call at 785-560-3011 or contact us online. It’s our turn to serve you!